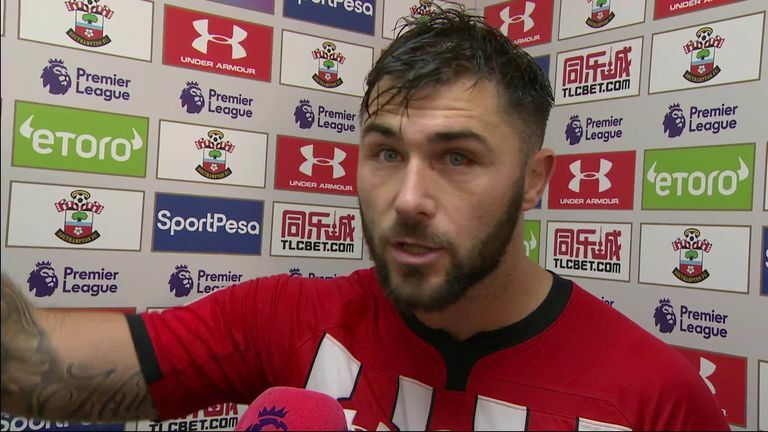 Southampton striker Charlie Austin launched an astonishing rant at the match officials after Saturday's 1-1 draw with Watford at St Mary's. 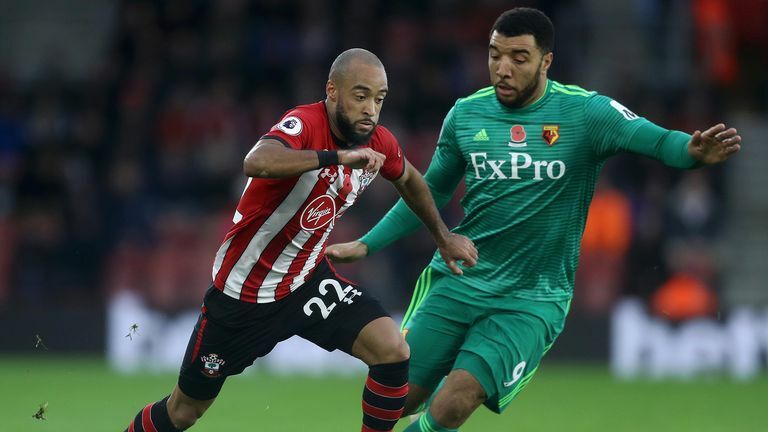 The home team were leading 1-0 through Manolo Gabbiadini's first-half goal when Austin thought he had doubled their advantage with a deflected strike midway through the second half. However, after consulting assistant assistant Harry Lennard, referee Simon Hooper - taking charge of just his fourth Premier League game - decided Southampton defender Maya Yoshida - standing in an offside position - had deflected the shot past Foster. "It's ridiculous," blasted the Saints striker. "They shouldn't be in the game. They get a point. We scored a perfectly good goal to make it 2-0 and the game is done and dusted. We won the game, but the officials cost us two points today. "They said it was offside. They said it hit Maya [Maya Yoshida], but it didn't. I hit it twice. It hit me and bobbed up. That's why it has done Foster. It's a joke. "You go on about VAR this and VAR that, help the officials out. Clearly they need help. We play in the Premier League, the best league in the world, the most-watched league in the world. Highlights from Southampton's draw with Watford in the Premier League. "So give them all the help they need because clearly they cost us two points today. It's a joke." Southampton, meanwhile, remain 17th in the table having won just once at home in the league this year, although Austin was still upbeat about his team's display. "There were many positives after last week," he said. "We put all that to bed and this week we worked hard to come here to get three points. "We deserved three points today but we've been let down by the officials. That's why we didn't get three points. "After our performance today we feel like we've been let down by the officials. Our performance today deserved it. We worked really hard."